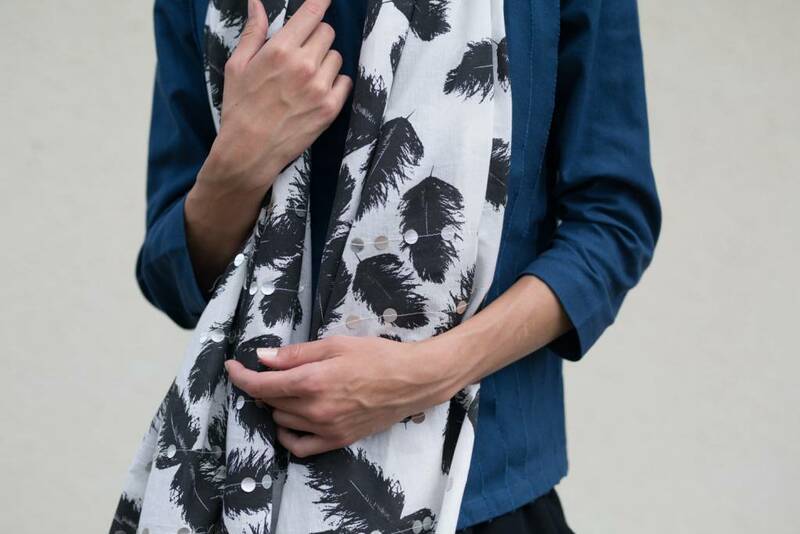 Lightweight organic cotton voile scarf with ‘Feather print’ and appliqué sequins. 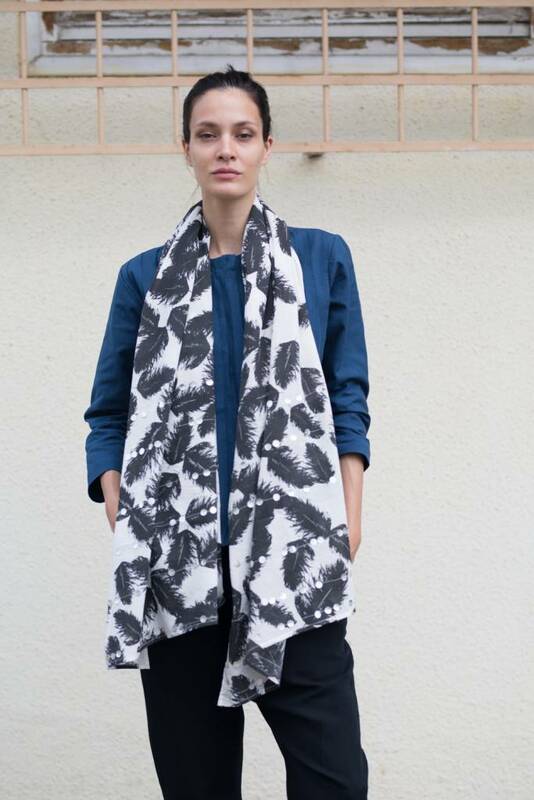 -The Kin ‘Printed Shawl’ is a soft and versatile accessory measuring 215 cm X 100 cm. Wash gently by hand using mild detergent and no bleach. Hang or lay flat to dry, and warm iron on the wrong side. Do not dry clean.